LadyLucks styles itself as ‘Britain’s Favourite Mobile Casino’ and is focused on providing the ultimate mobile casino experience. The emphasis is most definitely on the UK mobile gaming market, so the currency on offer is just GBP, the site is only available in English and they are not currently interested in appealing to a broader international market. First impressions are not particularly good when you go to the LadyLucks casino, as the design of the site is distinctly old fashioned and lacking a lot of the ‘wow factor’ you can find on competing casino sites. The site features games from Probability Gaming and IGT and includes a selection of around 50 slot games, plus bingo and a small group of casino games. The site is licensed and regulated in the UK by the UK Gambling Commission to guarantee player security and safety. New players at LadyLucks receive 100% up to £100 free and 100 extra spins for signing up and depositing just £20 or more – a very generous bonus compared to other UK online casinos. Our exclusive LadyLucks bonus code will award you with a 60% up to £50 second deposit bonus for the 2nd time you deposit. With the LadyLucks bonus code 10UKCAS you can claim the standard opening offer to start, and know that your 2nd deposit bonus will also provide some value back. In short, this is one of the best online casino bonus codes available on the UK market. Between both offers, LadyLucks is extremely appealing for new players who can get an excellent deal on trying the site out. LadyLucks is a popular mobile casino option for UK players, with over a million people registered to the site. LadyLucks is one of the oldest mobile casinos around, and the site itself has come to look rather dated but there is still a reasonable selection of games on offer even if the portfolio does suffer from the absence of a number of big name game producers. The mobile casino is available across a multitude of smart phones and tablets, and the LadyLucks VIP programme ensures that players will keep coming back to avail of the generous rewards on offer. A generous welcome bonus and ongoing promotions make LadyLucks Casino a popular gaming option. LadyLucks is designed to operate as a mobile casino, and the games on offer from Probability Gaming and IGT reflect that. The range of games on offer is rather underwhelming when compared to desktop casinos but is a respectable offering from a mobile platform. 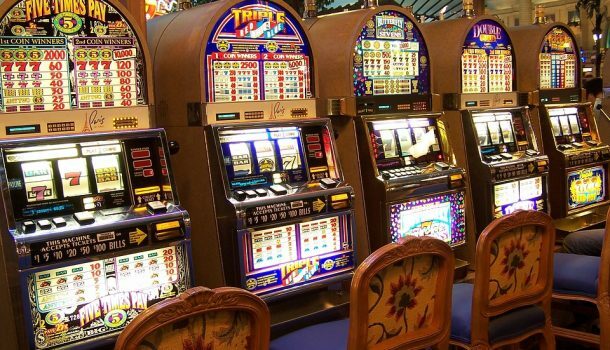 Sadly the overall aesthetics of the site are drab and uninspiring and unlikely to win too many new converts to this veteran mobile casino on that basis alone. To register with LadyLucks you will simply be asked to provide personal details like your name, address, date of birth and phone number, and then you will be ready to play. LadyLucks awards a 100% bonus for just signing up, which is certainly a good way to keep getting new clients! LadyLucks are licensed and regulated in the UK, and having been in business since way back in 2004 they are certainly a reliable and reputable mobile casino. All the games on the site are independently tested and verified to ensure fair play. LadyLucks partner with GamCare and Gamble Aware UK to assist players who believe they may have an issue with online gambling. LadyLucks Casino does not have the range of games that are available on many of its competitor’s sites, and the quality of game does not always match up to what you might expect from the latest video slot releases although the IGT games available do raise the overall standard. In total you are looking at six mobile casino games, just under 50 slots and one bingo title. As such it is a reasonable but hardly super-impressive portfolio of games. Roulette: you have a choice of precisely one roulette game at LadyLucks, a fairly standard European Roulette game optimised for mobile use. Blackjack: again there is only one choice, this time a multi-hand game is on offer. Video Poker: choose one of the two video poker games on offer, either Double Bonus Poker or its close relation, Double Double Bonus Poker! Bingo: Bingo is always a huge winner with British players, and there is a mobile version of the game available here to keep that constituency happy. Other Games: the other games on offer here are a camel racing game and the Bubble Craze matching game. 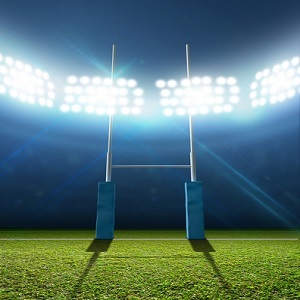 First Deposit Bonus: your first deposit is matched with a 100% bonus up to a maximum of £100. Second Deposit Bonus: your second deposit is matched 60% up to £60 if you use our LadyLucks Bonus Code, 10UKCAS. Weekly and Daily Bonus Offers: just by logging in and playing you will be in the draw for free spins, cash-back offers, deposit matches and cash prizes of as much as £500. Referral Scheme: every friend you recommend who makes a deposit to the site will result in you receiving a £20 bonus. Access to the LadyLucks VIP Members Club is strictly by invitation only, so you will be contacted if they feel that you are playing enough to be worthy of VIP status. As a VIP you will be eligible to receive prizes and promotions every month along with a VIP Account Manager as well as cash-back offers and random gifts. LadyLucks allow quite a wide range of payment methods for a mobile only casino, meaning that it is never too difficult to top up your account. Deposits will all appear in your casino account instantly, and all deposits and withdrawals are free of charge. Paypal: minimum deposit is £10 rising to £10,000 per day maximum with this handy electronic wallet. Boku Mobile Billing: charge the deposit to your mobile using Boku for amounts between £10 and £30 per day. Paysafecard: instant deposits of between £10 and £1,000 per transaction. Visa Cards: when you deposit using your Visa card you can withdraw back to the same card. Minimum withdrawal by this method is £10 up to a maximum of £20,000 and it usually takes 2 or 3 days for the amount to show up in your account. PayPal: if you deposit using a PayPal account you can receive your payouts back to the same account within 2 or 3 working days. Cheque: if you deposit by any method other than with a Visa or PayPal account then your pay-out will come by post in the form of a cheque. Withdrawal amounts can be between £10 and £20,000 and the cheque will be posted within 3 to 5 days of your request. If you have any questions about the site, then you can contact the customer support team either by telephone or email, and a limited range of questions are addressed in the FAQ section. FAQ: click the Help button and then FAQs to see if your question can be answered in this FAQ area of the site. Telephone: call the Freephone number for more immediate assistance. Post: you can also write to the company headquarters in Gibraltar if you wish. LadyLucks Casino is the UK’s oldest mobile casino operator, and she is beginning to show her age in comparison with some of the newer and fresher sites available today. 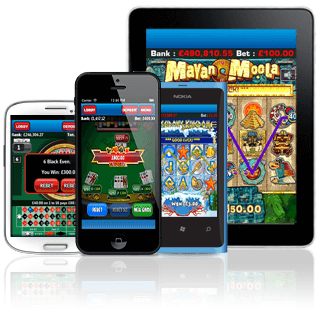 There are still find enough mobile games to keep casual players content, and the 100% signup bonus is a great incentive, but ther are plenty of sites out there offering a much better selection of mobile casino games. If you’re ready to get started, there’s no risk! Just use our LadyLucks Bonus Code, 10UKCAS.